Basic custom imprint setup & PDF proof included! 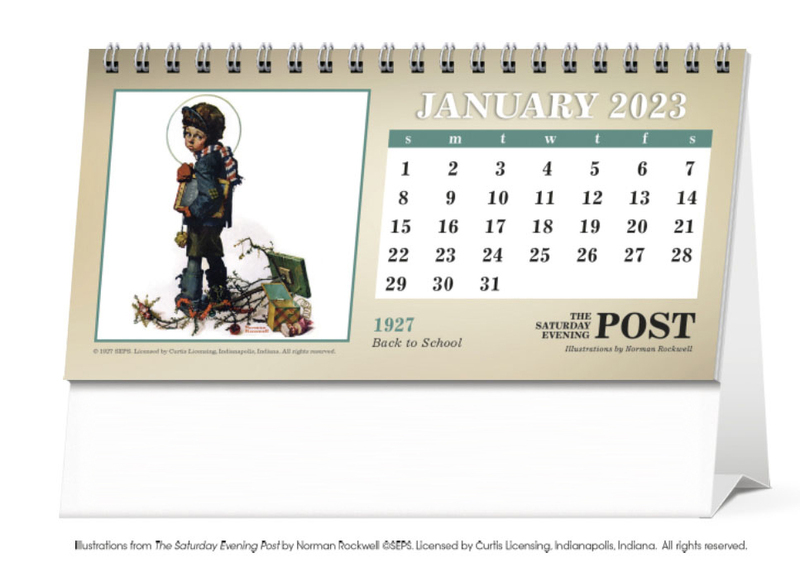 The Saturday Evening Post illustrations by Norman Rockwell Desk. 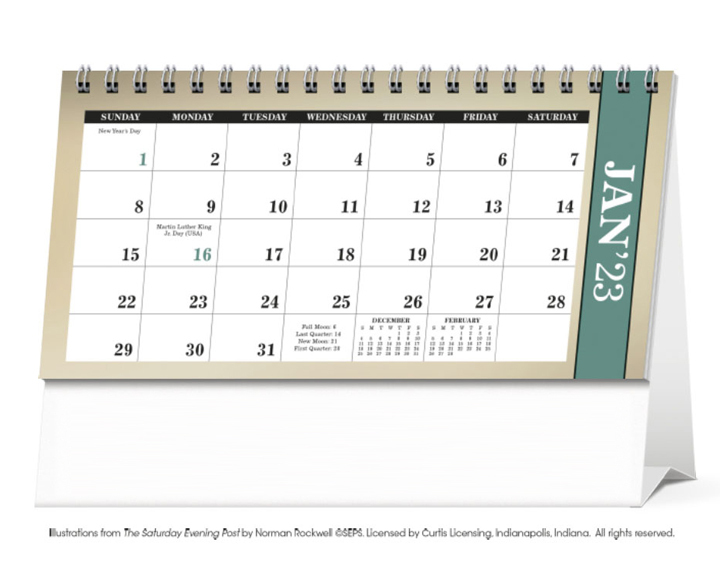 With desktop display calendars, the message is kept in front of customers every day of the year. This handsome display of American masterpieces is sure to be appreciated. Same ad message prints on both sides of the tent mount. Backside features same month as front, but with large month grid without photo. 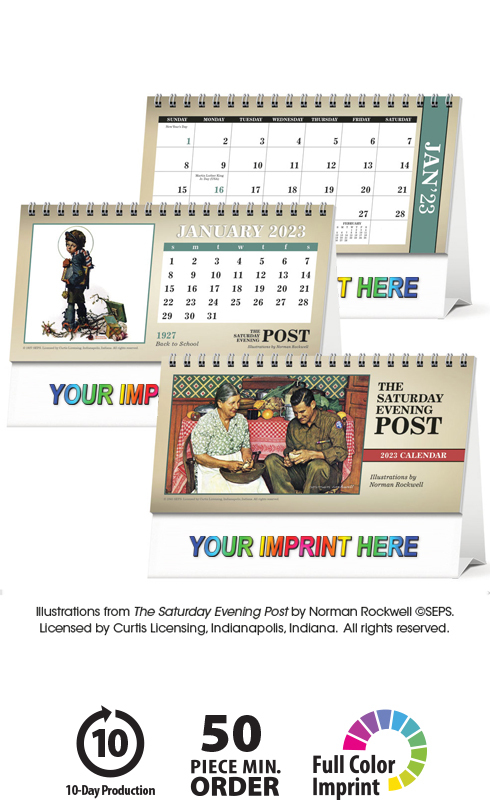 This high-quality The Saturday Evening Post Desk Calendar will proudly display your message for the entire year!